Is this vanity unit for your master bathroom, a powder room, or a child’s bathroom? Each will require a different style of vanity. A master bathroom may require a double sink. A child’s bathroom could benefit from a unit with extra features such as pull-out steps. There are plenty of elements to think about before beginning a bathroom remodel. 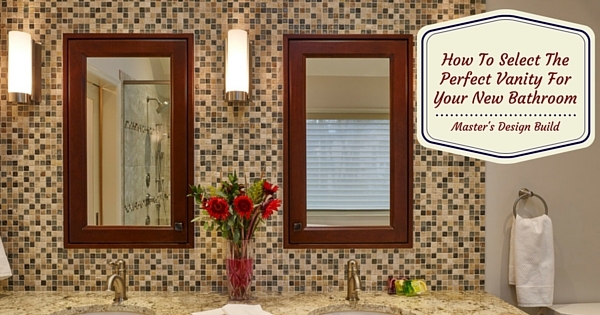 Check out these 10 Things to Consider Before Your Bathroom Remodel. Are you going for a minimalist approach in your renovated bathroom with a couple of drawers and a shelf? Or do you have a large family that needs a lot of storage space? Think about all the things that you want to store: toilet paper, shampoo, soap, toothbrushes, and spare towels. You may think that you’ve picked out the perfect faucet, but hold off on the purchase until you’ve finalized your vanity choice. The faucet may look wonderful, however, it may have the wrong reach for the basin or height for the unit that you have selected. There is a wide variety of materials to choose from when it comes to selecting a vanity unit. Think of your personal preferences and consider your decor and practicality of use. What materials should counter top to be made from? What will your basin look like? You could go for the traditional ceramic sink or something stylish like stainless steel or glass. When it comes to countertops, you need to consider how heavily your bathroom is used, and how much time you want to put into maintenance. Wood, for example, looks beautiful but requires time and effort to care for it properly. Granite, on the other hand, is solid, practical and low maintenance while still looking great. Think long-term when you are considering materials for your bathroom. Unless you’re planning on renovating again, you may want to opt for a classic look rather than a funky trend. 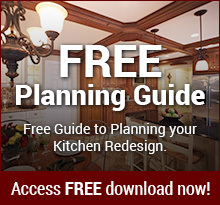 Check out more information on vanity materials from the National Kitchen and Bath Association. Before you go shopping measure your space correctly. Measure the width and depth of the area and make sure there are no obstructions that will prevent any drawers or cabinets from opening. Check where your pipes are located. You want to sure there are no drawers blocking this space. Bring your measurements, photos of your bathroom space, and a measuring tape with you to the store. Discuss your requirements with the salesperson and don’t be afraid to ask questions about warranties and the durability of the unit. Thinking about a bathroom remodel? Contact us today and tell us your ideas. We are here to serve you and your remodeling needs.